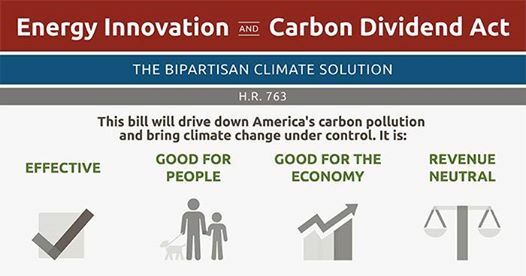 On the issue of climate change, the faith community speaks with a moral authority. 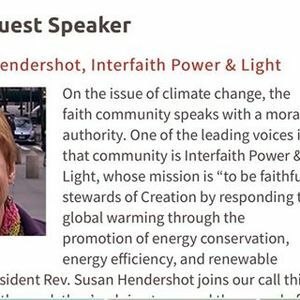 One of the leading voices in that community is Interfaith Power & Light, whose mission is “to be faithful stewards of Creation by responding to global warming through the promotion of energy conservation, energy efficiency, and renewable energy.” IPL President Rev. Susan Hendershot joins our call this month to share the work they’re doing to spread the gospel of stewardship and sustainability. Rev. Hendershot is ordained in the Christian Church (Disciples of Christ) with a Master of Divinity degree from Emory University in Atlanta. 2. Celebrate - We celebrate our success, including growth, legislative progress, and published media from across the world. 3. Practice - We build on our knowledge and our ability to communicate persuasively. 4. 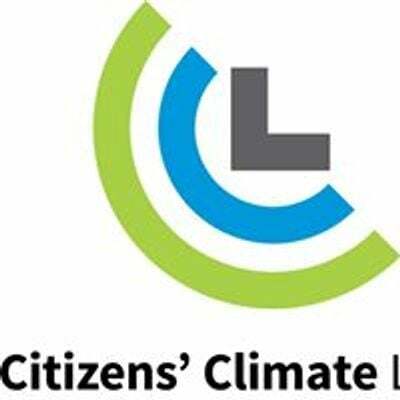 Act - Each month CCL provides coordinated actions for each chapter that build political will for a livable world. Free DJ Lessons at Auld Dubliner!